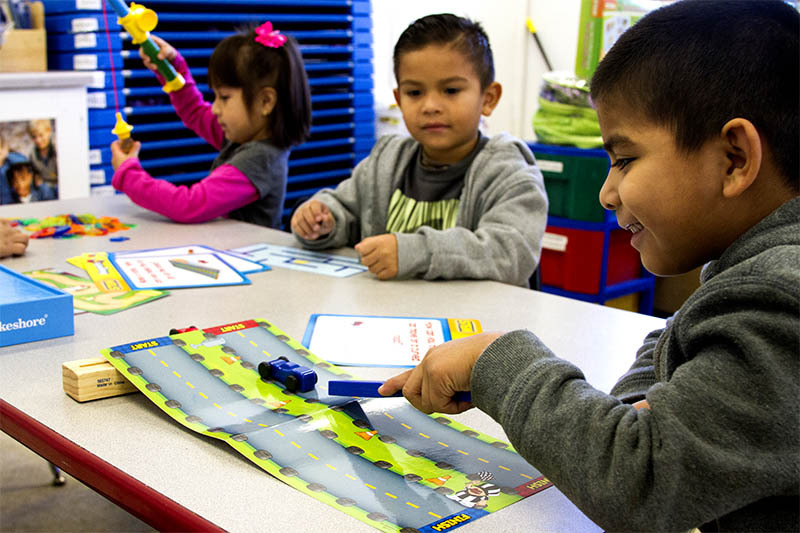 Mi Escuelita increases English language vocabulary to ensure that children’s language skills are strong enough to transition to English speaking kindergarten classrooms. Each year, more than 85% of children transitioning from Mi Escuelita qualify to enter English speaking Kindergarten classrooms. 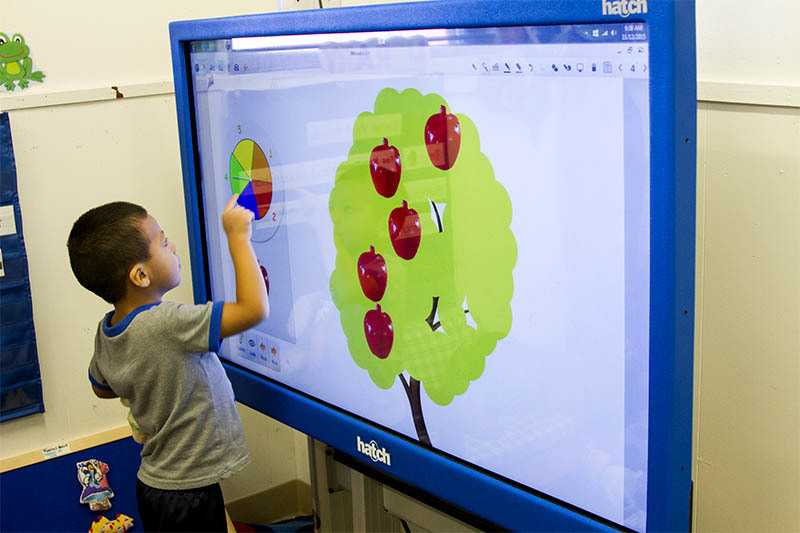 This alleviates the need for higher cost bilingual education and enables children to avoid remedial English education, thus helping to lower their chances of dropping out of school in later years. Parent participation in a child’s education is one of the lead indicators of future academic success, which is why Mi Escuelita is proud to have almost 100% parent participation. With 10 locations across the Dallas area, there is a Mi Escuelita site near you. Enter your address to find the center near you. Mi Escuelita has developed a specialized curriculum designed to meet the needs of children of all cultures and ethnicities. 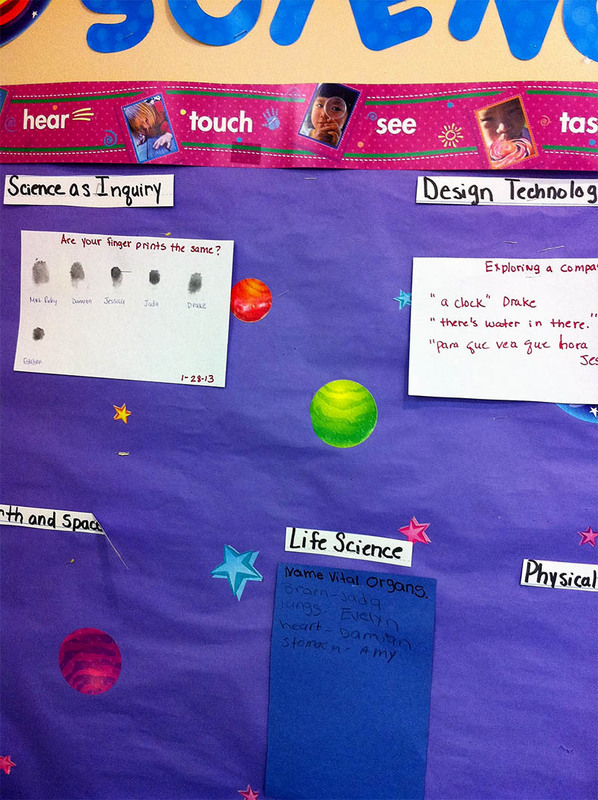 These research based curriculums provide language intervention along with daily math, technology, engineering science, reading, music and art activities. Mi Escuelita strives to provide children with a foundation of developmental and educational skills that will allow them to take full advantage of educational opportunities and succeed academically. Children are exposed daily to age-appropriate activities in all content areas to build their oral vocabulary and their ability to communicate effectively in English through the following subjects: math, science, technology, engineering literacy, social studies, language and creative expression. 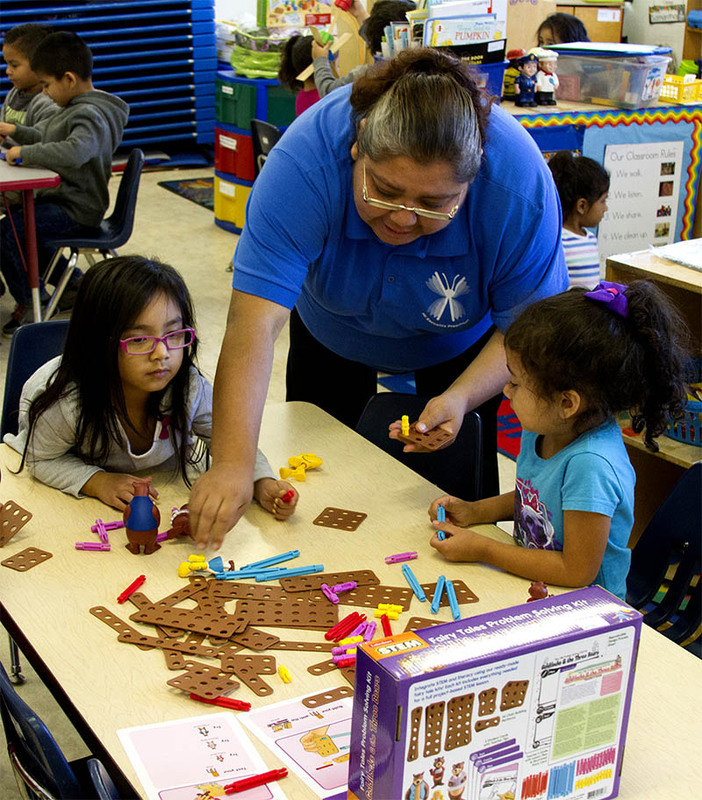 Mi Escuelita uses two award-winning curricula (Scholastic’s Big Day For Pre-K and Frog Street Pre-K) combined with new practices geared toward English language learners. Children are screened within the first 45 days of the school year using the Learning Accomplishment Profile- Diagnostic (LAP-D) to determine if any special services are needed. Children are assessed at the beginning, mid-year and at the end of each school year using the Learning Accomplishment Profile (LAP-3), a nationally used and recognized tool to measure a child’s developmental gains across a variety of areas including language skills, math skills, logic and many other subject areas. Children’s English Language fluency is assessed at the beginning and end of each school year using the national recognized Woodcock-Munoz Language Survey. Our parents are the cornerstone of our program and we appreciate every single one. Mi Escuelita knows that parents are the first teacher for their child, and encourages parent-child bonding through parental involvement and engagement in their child’s education. As part of this holistic approach, parents are provided with age-appropriate reading materials and activities to encourage pre-reading skills in their children. The Family Literacy Component encourages children and parents to work together at home. Parent surveys conducted by Mi Escuelita cited limited access to children’s books in their native language as the number one reason parents did not read to their child. In response to this need, Mi Escuelita provides parents with an on-site library that allows them to check out age-appropriate books in their native language to encourage family reading time. 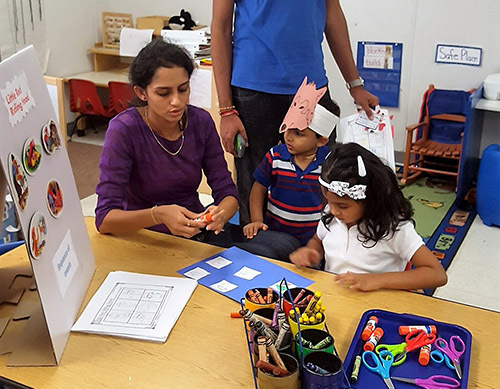 The Family Literacy Component includes take-home activities in their native language that reinforce lessons (color identification, letter recognition, etc.) that are being taught in the classroom that week. Parents help children learn basic pre-reading skills such as left-to-right and up-and-down, all the while reinforcing their own reading skills. Children also take home homework packets that tie to current classroom lessons for parents to engage and spend time completing these activities with their children. All homework packets are distributed in English and Spanish (and other languages as necessary). Parents help students learn outside of the classroom using homework packets, specialized recommendations from teachers, as well as technology like Vroom that helps engage parents and children by turning shared moments into brain building moments. 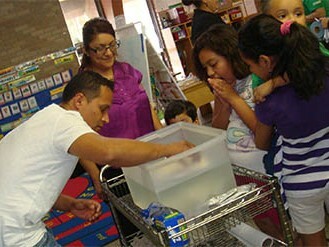 Parents assist students with Science Fair, Family Tree, field trips, classroom presentations other learning opportunities. Parents volunteer in the classroom by helping teachers, teaching lessons, decorating classrooms with items tied to current lessons, holiday celebrations and more. 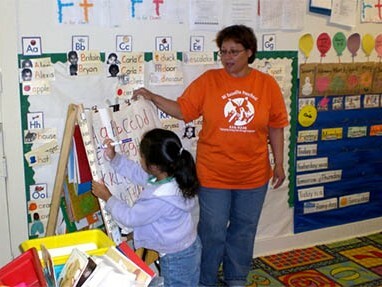 Mi Escuelita knows that it takes an educational partnership between the school and parents to ensure a child’s success. Parents meet with a Mi Escuelita Family Advocate and complete a Family Partnership Agreement to set goals and determine the classes and resources that will help them meet those goals. Our Family Advocate follows up with the parents on a regular basis to help them follow their plan. 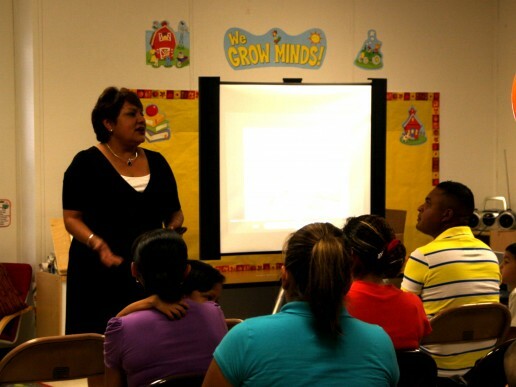 Parents are provided referrals for needed resources, such as GED, ESL and counseling. 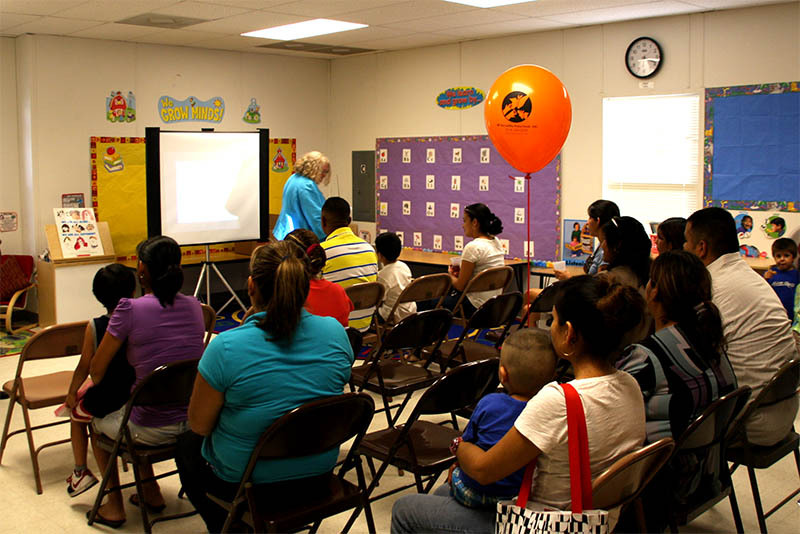 Mi Escuelita also hosts monthly parent meetings about a variety of topics including education, nutrition, finance, supporting your child and other skills to set the family up for success. Each Mi Escuelita site has a library with books available for parents to read with their child. Parents help children learn basic pre-reading skills such as left-to-right and up-and-down, all the while reinforcing their own reading skills. Provide parents with training that will empower them to participate in their child’s education and improve their parenting skills. Connect parents with resources to ensure success for the entire family.